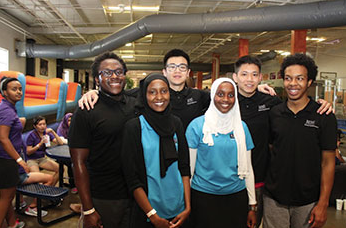 Every summer, a group of talented multicultural high school students from the St. Louis area participates in a program called the BESt Pharmacy Summer Institute. Meant to prepare these young people for future careers in pharmacy, the program exposes them to the profession in order to build a diverse pipeline of pharmacists to serve an increasingly diverse community. 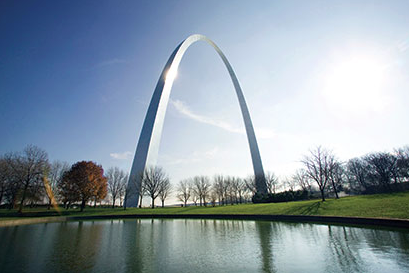 The “B” in BESt represents Barnes-Jewish Hospital, the largest hospital in Missouri and largest private employer in the St. Louis region. The “E” is for Express Scripts. Headquartered in St. Louis, Express Scripts is a prescription benefit-plan provider that manages millions of prescriptions each year through home delivery and retail pharmacies. And, finally, the “St” represents the St. Louis College of Pharmacy, one of the oldest and largest colleges of pharmacy in the United States. Each of these entities contributes to the funding and operation of the program. During the BESt Summer Institute, students who have completed their freshman, sophomore, or junior year of high school and have met academic and other eligibility requirements of the program reside in dorms on the St. Louis College of Pharmacy’s campus for six weeks. While there, they are immersed in rigorous college-credit coursework in chemistry, algebra, composition, communications, and trigonometry. The program also includes ACT preparation, tutoring, professional development and team-building exercises, lectures from experts in the field, hands-on labs, and pharmacy site visits. Cash stipends ranging from $600 to $1,200 are available for participants, based on their professionalism and academic success. Created in part to develop St. Louis community leaders and assist in meeting industry demand for pharmacists, BESt helps fill a critical need. According to the U.S. Centers for Disease Control and Prevention, in 2014, nearly 60 percent of Americans reported using a prescription medication; that is up from 48 percent in 2010. Additionally, data from the IMS Institute for Health Informatics show that in 2015, just over 4 billion prescriptions were filled in the United States. By 2021, the National Association of Chain Drug Stores expects that number to rise by 700 million prescriptions per year. These increases and concurrent surges in patients seeking healthcare — which many believe is partially due to the Affordable Care Act and the aging baby boomer generation — help drive an increased need for qualified healthcare professionals, including pharmacists. St. Louis-area high school students participate in the 2016 BESt Pharmacy Summer Institute on the St. Louis College of Pharmacy’s campus. Though healthcare industry growth is significant, it is just one aspect underlying BESt. “The biggest challenge facing the next generation of pharmacists is how to provide competent care for an increasingly diverse and global population,” says Isaac Butler, PharmD, the interim vice president for diversity and inclusion at the St. Louis College of Pharmacy. Citing data from the U.S. Census, Butler, who is also a BESt co-founder and program director, explains that by 2040, minorities will make up the majority of the U.S. population — indicating a need for more diversity in healthcare. Since its creation in 2008, BESt — which now welcomes an average of 60 students per summer — has trained 300 future healthcare professionals. These students come from a handful of underrepresented minority groups, which are defined by the program as American Indians or Alaska Natives, African Americans, Hispanics or Latinos, and Native Hawaiians or Pacific Islanders. In the last few years, U.S. News & World Report has included pharmacists at or near the top of its ranking of the country’s “100 Best Jobs.” Cited as being “critical to the healthcare system” because they support both doctors and patients, pharmacists typically boast high pay, minimal stress, room for advancement, and satisfactory work-life balance. Program participants review materials during the 2016 BESt orientation. Celeste Player believes the BESt Pharmacy Summer Institute does more than expose young people to a career in pharmacy; she says it also helps prepare future pharmacists to deal with an aging and diverse patient population, the infusion of technology in healthcare, and the rising costs of prescription medications.